Home » »Unlabelled » With the last of her strength, this dog dragged herself out of a burning house. In her mouth was a tiny bundle. 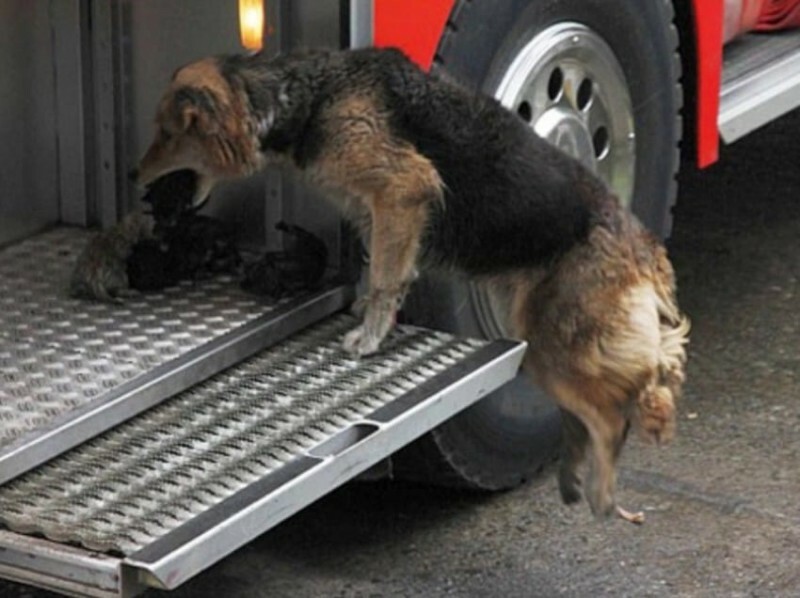 With the last of her strength, this dog dragged herself out of a burning house. In her mouth was a tiny bundle. There's probably nothing stronger in the world than a mother's love for her children. It's as true for animals as it is for humans. 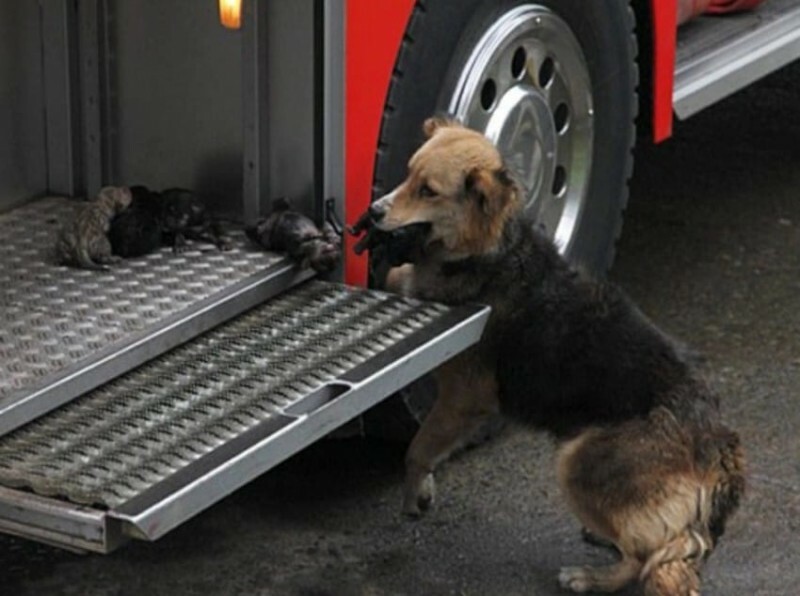 In the Chilean city of Temuco, firemen were witness to this force of nature recently when a mother dog faced losing her puppies to a fire the men were fighting. These pictures are just so moving. It all started with a ferocious house fire. 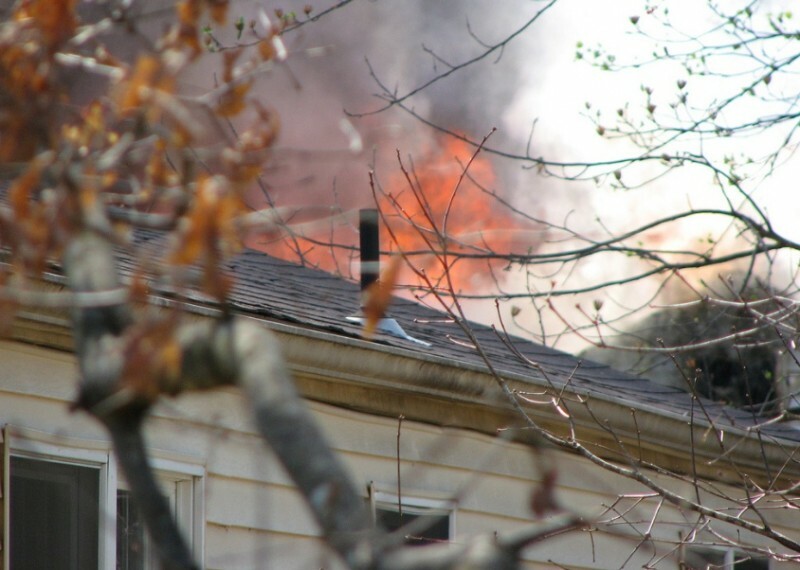 As flames shot up toward the sky, it was instantly clear to the firemen that they would need backup. After some time, with enough men, they got the fire under control and were able to rescue the inhabitants, who got out without serious injury. The firemen were returning to their truck when, to their astonishment, they encountered someone else. A dog was making her way slowly toward the fire truck. 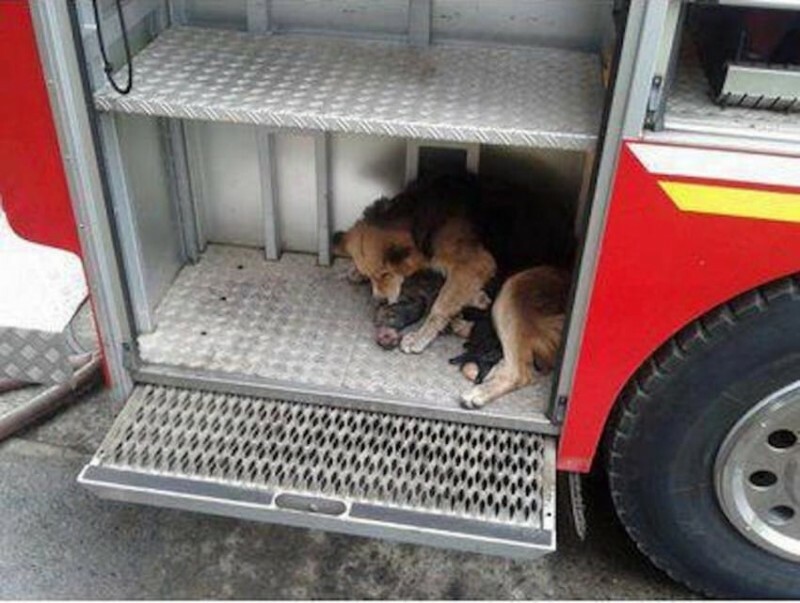 She was carrying a little bundle of fur — it was one of her pups! Her coat was singed but the puppy seemed all right. 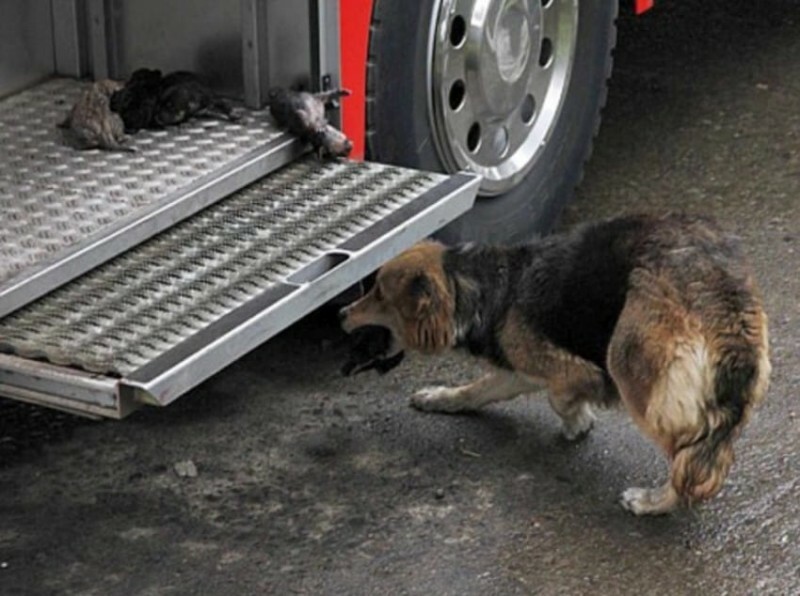 After she placed the puppy carefully down on the truck's step, she turned around and went straight back into the smoking remains of the house. A few moments later, she came out with another tiny bundle. She repeated this process again and again, apparently having decided that this was a safe place for her babies. Rightly so! Then when five little ones were snuggled on a corner of the step, she curled herself around them and, looking deeply exhausted, lay down to rest. The firefighters could hardly believe it, standing there with hardly a dry eye among them as they watched this take place. What a poignant story. Here was a mother who truly put her life on the line for her children. It's a powerful thing, motherly love. And after the danger and exertion they faced, boy had they all earned that rest!